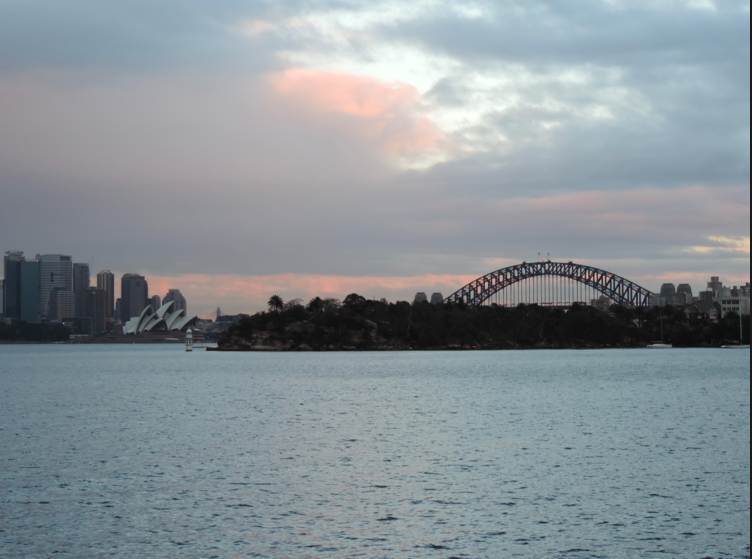 I’d sized up a couple of hills in and around Sydney in the days leading up to my weekend off work and had ultimately come up with Taronga Zoo (1.4km, 6% average gradient and 84m vertical ascent per climb). If you’re considering an Everest attempt you will no doubt be familiar with the ‘short and steep’ vs ‘long and flat(ish)’ debate. It’s probably also worth considering the status of the climb and whether its been done before as well as slightly more mundane things such as where you’ll be able to park your car full of supplies and whether your cheer-leading squad will make the effort to come along for the ride (so to speak). I worked out I would need to do 105 repeats with a few extras thrown in for good measure to allow for the inevitable ‘Garmin Gremlins’. Having packed my car with enough food and drinks to fuel a Tour de France Peloton I set off at 03:30 with a planned 04:00 start time. According to Strava, I set off at 03:57, it would be the only time that day that I was ahead of schedule! My ride, as anticipated, started and finished in the dark. Regrettably, the time did not pass with the beautiful serenity of time lapse photography so familiar from David Attenborough’s documentaries, though bizarrely I actually enjoyed (if that’s the right word) almost every hour - 11 in daylight and 5 of darkness. For the first 90 minutes I saw absolutely no one. Then slowly the odd car materialised followed by occasional Zoo workers heading in to work. After about 2 hours I began to see other cyclists doing one or two hill repeats. One guy though caught my attention as we crossed paths again and again. I noticed him pouring intently over his power meter and the thought began to crystallise in the back of my mind that perhaps I wasn’t alone in my glorious quest to conquer Everest this day. I knew I had about 2 hours head start but nevertheless he looked in pretty solid shape and if he stayed the course I knew, even with my head start, that it would be an uncomfortably close race to the summit. The thought of unleashing a Kittel-esque sprint after a full day of climbing did not appeal. At all. Thankfully after about 15 laps of seriously committed training this guy departed and with him went my fear of being beaten to the top of Taronga Everest. Taronga Zoo hill is a fairly popular stomping ground for cyclists so I was fully expecting to be able to count on a bit of moral support and strength in numbers. To my amazement I saw only a handful of other cyclists throughout the day. More surprising still was that I only spoke with one other cyclist for the whole 16hrs and even this was only for half the climb before he pealed off to knock up his ‘RaphaRising 2014’ climbing meters elsewhere. In retrospect my climbing purgatory was almost certainly a function of the weather. Heavy, albeit intermittent, rain and a maximum temperature of 12 degrees is not particularly tempting weather even for the most hardy of cyclists. I remained in tights, gillet and arm warmers all day with the only concession to the ‘warmer’ daytime temperature being to remove my shoe covers and change to short fingered gloves. Though even these were borderline decisions. Once the sun was up and the volume of traffic and people had increased I realised how much I had enjoyed the isolation that darkness had brought at the start of my ride. Now my descents were slowed by aimless Zoo patrons meandering along the side of the road, cars slowing to a crawl in desperate search of a parking space and most moronically of all a Park ranger using a leaf blower to shower the sharp right hand bend mid descent with leaves and twigs. This last factor was the most unwelcome of all and despite considerable caution, I very nearly came off twice. I had planned on stopping every time I had climbed 1111m, neatly making for 7 food breaks prior to my final assault on the summit. The aim of making each section manageable with a small sliver of light every 80 minutes or so worked well and for future reference I wouldn’t change this approach. By about 3333m I was beginning to doubt the ability of my Garmins battery to make the full (predicted) 16 hours – easy I thought, just charge it for 10 minutes every time you stop for food. As I tentatively plugged my Garmin into the cigarette lighter my worst fears were confirmed with the power down beeps – all data fields suddenly read 0! 0km, 0hrs in the saddle and most distressing of all 0m altitude gained. To say I was furious would be a masterful understatement. Apoplexy might just about do it justice, but would still be somewhat short of the mark. It took a considerable amount of will power to calm down and certainly once back on my bike, the next few laps were a lot faster than intended. I consoled myself with the knowledge that I did at least have photos of the screen up to about 2500m, though I realised that if my Garmin had indeed erased all data, I would rely on a ‘pinky swear’ with the Hells 500 boys before official conformation of a successful Everest. Sadly, this little Garmin moment also meant I would never get the satisfaction of seeing 8848m displayed on the screen. Psychologically this was a big knock as no matter how many times I added the totals in my head the new display of vertical ascent was always about 3333m short of what it should have been. I was gaining considerable momentum and motivation seeing the halfway mark approaching and for this reason I think that the next 2000m or so of climbing was the toughest I faced all day. By lunchtime I had climbed about 4800m (corrected) and I had my first (and only!) visitors. My girlfriend, best friend and his wife as well as my girlfriends Dad and partner had stopped by to lend some moral support. Above and beyond the short break, welcome conversation and strong coffee I can’t begin to explain how much of a welcome lift this gave me. I felt renewed with purpose for the second half of my endeavour – oh god, the second half?! It hit me, 8 hours in and I was only just over half way through!!! The afternoon passed by much as the morning had, with pleasant regularity. There was something almost cathartic about the discipline and monotony of ploughing up and down the same piece of road. I continued to employ little tricks to keep me occupied – observing little changes in the scenery, different grips on the bars, different climbing positions to fragment the climb - indeed anything to mix it up. 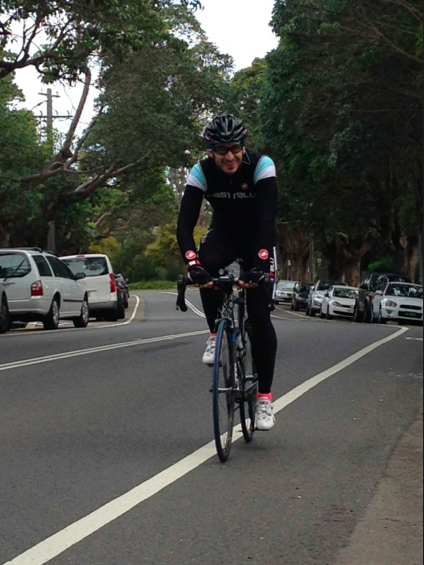 I took the opportunity to improve my aerodynamic tuck as well as the lines through the sweeping bends of the descent. And I listened to music. A lot of music. By the time I had reached 7777m (corrected) the sun had set and the climb was again blanketed with darkness. I found some strange solace in the fact I had survived from sunrise to sunset and I actually welcomed the return to darkness and the quiet, uncluttered roads that came with it. Some simple calculations told me I was only 14 reps away from the immortality of the Hells 500 Everesting Hall of Fame! Buoyed by this I had planned on a full on smash and grab to get the job done and suddenly I was climbing at a not particularly sensible 340W. With 6 reps to go the unwelcome, yet entirely predictable, spectre of Garmin uselessness reared its ugly head (again). Within seconds of my screen announcing “low battery” it packed up completely. With Murphy’s Law well and truly kicking me in the balls, this occurred at the very bottom of the climb! So back to the faithful data erasing/resetting cigarette lighter, with no credit for the 1.4km and 84m of vertical ascent that it would take me to get there. With no photos for the last hour or so I was now desperately clinging to the idea that my Garmin was just resetting itself rather than erasing the data but even if this was the case I had well and truly lost track of exactly how much elevation I had clocked up. I knew I had calculated 6 reps to go but was I prepared to risk my Everesting quest for the sake of cutting it fine? The answer was of course no, so after 40 minutes sat in my car getting progressively more irritated as my Garmin re-energised itself I embarked on the final 10 reps. The first 3 were hard work with cold and achy legs. I had unwisely used my enforced break to conjure elaborate plans as to how I would destroy my Garmin once I had (hopefully) retrieved the data. What I should have done was stretch and eat because with 3 reps to go I bonked. Following a very wobbly and undoubtedly the slowest ascent of the whole day I once again found myself off my bike and in the car. I scoffed down some sweets in the vague hope of coming good. This final push, for a variety of reasons, had ended up being infuriatingly hard and I just didn’t seem to be able to finish the job off. For good measure it was now bucketing down and I was faced with the unappealing prospect of completing the final 3 laps in the pouring rain when by all rights I should already be home, showered and savouring a cold beer. After a few minutes I finally pulled myself together and went over the top. 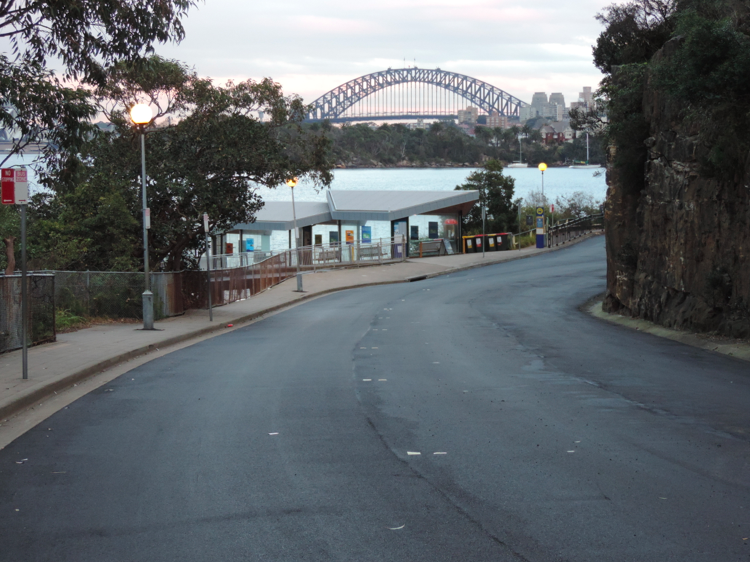 Three solo, unwitnessed victory laps up and down Taronga Zoo which with the benefit of Garmin data recovery and file merging software from some kind soul on the internet proved to be completely unnecessary! All up the amalgamated files said: 321.3km and 9,728m vertical ascent. I had done it and with 880m to spare – the equivalent of my final 10, soul destroying, reps! While I may have lost a few battles over the course of the day, ultimately I was very proud to have won the war to summit “Taronga Zoo Everest”. All Power data was lost due to the merging of 3 separate Garmin files. 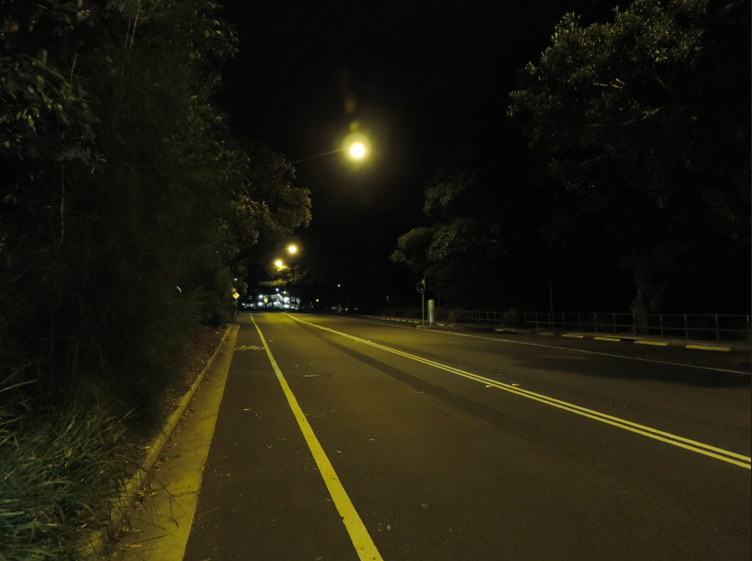 Inevitably I created a couple of Strava segments from the ride including Taronga Zoo 300km and Taronga Zoo x100. Would you believe I’m KoM on both? !